Vampires and werewolves form opposing cliques in the season's supernatural heavyweight, "The Twilight Saga: New Moon," with Kristen Stewart and Rob Pattinson back for the second chapter of Stephenie Meyer's vamp-schoolgirl romance. Hollywood might be telling its own life story this fall, presenting a lineup of liars, phonies, smooth talkers, bloodsuckers and greedy old men. Granted, there are heroes in the mix, including Robert Downey Jr. as the great detective in "Sherlock Holmes" and Morgan Freeman as Nelson Mandela in Clint Eastwood's post-apartheid drama "Invictus." Beloved literature and storybook adventures come to the screen with Maurice Sendak's children's classic "Where the Wild Things Are," Disney's animated fairy tale "The Princess and the Frog" and "Lord of the Rings" filmmaker Peter Jackson's adaptation of modern favorite "The Lovely Bones." And audiences will be reunited with absent friends, among them director James Cameron on the sci-fi epic "Avatar," his first narrative film since "Titanic," and Woody, Buzz Lightyear and their plaything pals as 3-D versions of "Toy Story" and "Toy Story 2" hit theaters. Still, rascals, rogues, beasts and baddies abound. 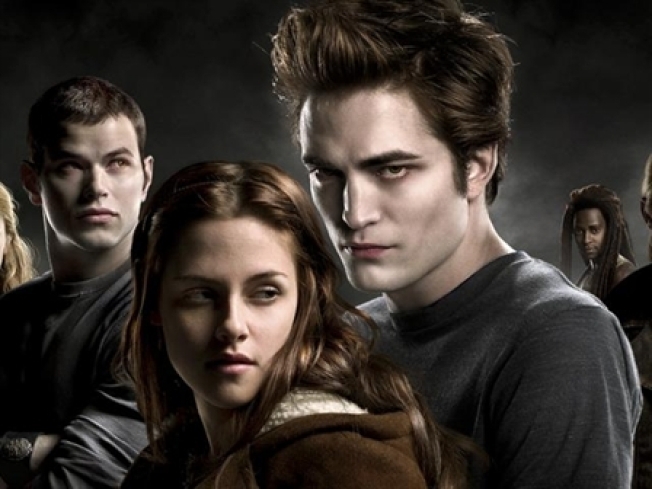 Vampires and werewolves form opposing cliques in the season's supernatural heavyweight, "The Twilight Saga: New Moon," with Kristen Stewart and Rob Pattinson back for the second chapter of Stephenie Meyer's vamp-schoolgirl romance. The vampire-werewolf feud makes for a nice exploration of our own psyches, said "New Moon" director Chris Weitz. "I suppose they're the two most relatable human monsters that we can think of. They nicely encapsulate restraint and passion," Weitz said. "Vampires are cold-blooded, literally, and werewolves are hot-blooded." Downey and director Guy Ritchie inject some passion into cold-blooded rationalist Holmes with their Victorian-era crime tale inspired by Arthur Conan Doyle's detective stories, featuring Jude Law as sidekick Watson. Holmes "is a weirdo by any standards," Downey said. "He has dedicated the entirety of his adult life to this one purpose, which is being a consulting detective and knowing things that other people don't take the time to make it their business to know. "That said, there's something kind of bohemian about him. He also has made no effort to cultivate friendships with anybody, because that would be to the exclusion of his prime mover. So he's trippy." James Cameron's "Avatar" leads a rush of films featuring humans in phony forms, including Bruce Willis' "Surrogates," a murder thriller in a world where people live vicariously through robot replicas, and Gerard Butler's "Gamer," where mind-control allows puppetmaster players to toy with real people in lethal games. "Avatar" stars Sam Worthington, Zoe Saldana and Cameron's "Aliens" hero Sigourney Weaver in a 3-D saga in which human explorers embody clones of an alien race to explore their planet's fantastic environment. Cameron's ocean explorations for the documentary "Aliens of the Deep" helped spark his imagination for the life forms of "Avatar." "I've seen some pretty amazing things at the bottom of the ocean. I've seen in some cases things that have never been seen or described by science before. So I know there are wonders out there and I know that nature is infinitely more inventive not only than we imagined, but than we can imagine," Cameron said. Ricky Gervais directs, co-writes and stars as the world's first fibber in "The Invention of Lying," featuring Jennifer Garner and Tina Fey in a comedy about an alternate reality where everyone tells the truth — until one man discovers the benefits of dishonesty. Matt Damon and Steven Soderbergh, collaborators on the "Ocean's Eleven" romps, reunite for the whistleblower tale "The Informant! ", based on Kurt Eichenwald's book about Archers Daniel Midland executive Mark Whitacre, who turned FBI mole in a price-fixing scheme at the agriculture-processing company. The film plays as dark comedy, Soderbergh centering on the absurdity of Whitacre's deceitful, vainglorious cooperation with his FBI handlers. "Steven really kind of set on this idea of him being the most unreliable narrator. There's information in the book that's just kind of doled out slowly, where you go, 'Wait a minute, something's not quite right,'" Damon said. "It's sort of the liar who keeps saying, 'OK, now I'm telling you everything.'" "Greed is good," robber baron Gordon Gecko declared in "Wall Street." As the world reels over thegreat recession resulting from that philosophy, Hollywood is selling tickets for some moralizing over the price of greed, led by Jim Carrey in a new incarnation of Charles Dickens' great skinflint, Ebenezer Scrooge. Crafted through the same motion-capture techniques and computer animation used on "The Polar Express" and "Beowulf," Robert Zemeckis' "A Christmas Carol" features Carrey as Scrooge and the three holiday ghosts who show him the error of his miserly ways. Documentary firebrand Michael Moore weighs in with "Capitalism: A Love Story," expanding the humor-and-heartbreak approach of his General Motors tale "Roger&Me" for an assault on the practices of corporations and financial speculators. Cameron Diaz and James Marsden are forced into some serious money moralizing in "The Box," about a couple given a contraption that will deliver $1 million with the press of a button — at the cost of a stranger's life. Would people give in to the temptation? "The answer has to be, I think, no. Because you might really regret it one day," Diaz said. "I would hope that I would find another way to solve my problems other than having to kill somebody." Hollywood's prestige season includes entries from Academy Award winners Morgan Freeman and Hilary Swank as real-life role models. Swank stars as Amelia Earhart in director Mira Nair's "Amelia," co-starring Richard Gere and Ewan McGregor in the life story of the aviation pioneer who vanished on her around-the-world flight in 1937. "Invictus" reunites Freeman with "Million Dollar Baby" and "Unforgiven" director Clint Eastwood for the story of Nelson Mandela's partnership with a rugby star (Matt Damon) who helped unify their country as South Africa's team makes an underdog dash through the 1995 World Cup. Joel and Ethan Coen return to their Minnesota roots with "A Serious Man," about a physics professor in the late 1960s abandoned by his wife as he struggles with a layabout brother, two problem children and blackmail and career sabotage on campus. Jim Sheridan's "Brothers" stars Natalie Portman, Tobey Maguire and Jake Gyllenhaal in a drama about a U.S. Marine captain who returns from the dead to find that his black-sheep brother has stepped in as man of the house for his wife and kids. Peter Jackson adapts Alice Sebold's "The Lovely Bones," featuring Rachel Weisz, Mark Wahlberg and Susan Sarandon in the saga of a murdered girl (Saoirse Ronan) watching over her grieving family — as well as her killer — from beyond the grave. "I read the book and I cried," Jackson said. "If you've lost somebody and somebody close to you has passed away, that book is a terrific tonic, because it affirms the afterlife and it gives you hope. And it gives you an understanding that so long as you remember people and so long as you honor their memory, they're never going to go away." Singing rodents return in "Alvin and the Chipmunks: The Squeakquel," with Alvin, Simon and Theodore in a battle-of-the-bands showdown with three female chipmunks. Food falls from the sky in an animated adaptation of the children's book "Cloudy With a Chance of Meatballs," the story of a town where plenty eventually becomes too much. Tom Hanks and Tim Allen are back as Woody and Buzz in 3-D versions of "Toy Story," the first computer-animated feature film, and "Toy Story 2," which play as a double-feature in advance of next year's "Toy Story 3." Disney bucks the computer-animation trend with a throwback to its hand-drawn cartoon roots on "The Princess and the Frog," updating the fairy tale about a girl and her slimy prince. The animatedadventure "Planet 51" features the voices of Dwayne "The Rock" Johnson and Jessica Biel in the tale of an astronaut who discovers a world of tiny green aliens living the "Ozzie and Harriet" life of 1950s America. George Clooney puts his silver tongue to use in a screen version of Roald Dahl's storybook "Fantastic Mr. Fox," about a chicken thief whose wily ways land him and his animal pals in a battle against nasty farmers. With a voice cast including James Gandolfini, Forest Whitaker and Catherine O'Hara, "Where the Wild Things Are" casts an adventurous boy onto an island where he rules over an assortment of cuddly but unpredictable beasts. Rather than relying on digital effects to bring Maurice Sendak's exotic world to life, director Spike Jonze stuffed performers into bulky suits on real sets to adapt the picture book. "When he goes to this place, it's a real place," Jonze said. "Its creatures, you can walk up and touch them. They can bump into him and shove him, hug him and pet him. There's a real forest, real beaches, real sand and real dirt and real wind. Doing it that way, I thought it would feel the most visceral and the most dangerous." Michael Jackson's 50-night concert stand in London never came to pass. But rehearsal footage for his comeback shows offer what's sure to be one of the biggest music documentaries ever as "Michael Jackson: This Is It" hits theaters for a limited two-week run. "Chicago" director Rob Marshall presents his next movie musical with "Nine," featuring Nicole Kidman, Daniel Day-Lewis, Penelope Cruz, Kate Hudson, Marion Cotillard, Judi Dench and Sophia Loren in an adaptation of Federico Fellini's "8 1/2." A new gang of young wannabes sharpen their talents in "Fame," an update of the 1980s film set at a high school for the performing arts, with a faculty cast thatincludes Kelsey Grammer, Megan Mullally and Debbie Allen, who co-starred in the original. Just when you thought hard times were bottoming out, the apocalypse hits in "The Road," adapted from Cormac McCarthy's novel about a man (Viggo Mortensen) trying to fend for his young son across a bleak America struck by catastrophe. John Cusack heads the cast of "2012" as survivors of worldwide cataclysms struggle on in the action tale from Roland Emmerich ("The Day After Tomorrow"). Hollywood spreads the love with a rush of romantic comedies, including "Did You Hear About the Morgans? ", with Sarah Jessica Parker and Hugh Grant as a couple whose failing marriage may get a second chance after they're sent into witness protection; "All About Steve," starring Sandra Bullock stalking the man she thinks is her true love; "Couple's Retreat," featuring Vince Vaughn, Kristin Davis, Jon Favreau and Kristen Bell working out relationship kinks on a therapy vacation; and "It's Complicated," about a woman (Meryl Streep) pursued by two men (Steve Martin and Alec Baldwin). George Clooney takes to the skies in "Juno" director Jason Reitman's "Up in the Air," playing a corporate-downsizing specialist whose nomadic life is put in jeopardy just as he nears an epic milestone in his frequent-flyer mileage account. "Old Dogs" features Robin Williams as a single guy forced to care for young twins he never knew he had, enlisting the help of his womanizing business partner (John Travolta) to raise them. Travolta's character "starts using them as bait for women, as cougar bait," Williams said. "He's like, 'Chicks dig kids,' and he's using them to kind of gather around older, sexier women." PLAY IT NOW: Dish Of Salt: What Dirt Does Dustin Milligan Have On Kristen Stewart?